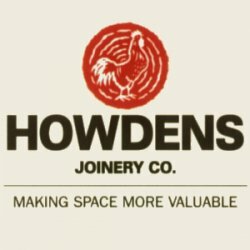 Basingstoke Home Improvement Forum: Howdens Basingstoke Free Kitchen design service! Howdens Basingstoke Free Kitchen design service! Howdens are suppliers to the trade only, however the public are very welcome to pop in and have a look at their kitchen and joinery products, "they also provide a Free Kitchen Design Service to the public"
but you would need a trades person with an account to purchase for you. I found them really helpful and purchased a kitchen that we are very happy with! White bass have already been schooling off main lake points (Piney Woods, Choctaw, and Carver Point) as well as the dam early and late on the day. [url=http://officialcanadagoosesoutlet.ca]canada goose[/url] In an attempt to scare Canadian geese (technically known as Canada geese) away with the sound of a BB gun shot, or maybe just sting one of the many geese who had been depositing pounds of feces on his property each day, this relative inadvertently shot a Canada goose in the head, killing it instantly on his suburban property. But that's not the question.. I laid there in defeat, letting the rain fall on me.